Auditing and adapting your website to increase your standing in search engines is a process known as Search Engine Optimisation (SEO). SEO is often a complicated process, but it can be made a great deal simpler by using the right web tools for the job. This guide takes a look at some of the most important types of tools you should have in your web inventory. Check out our top ten tips for improving SEO. Unsurprisingly, the first place to start conducting research for your SEO strategy is the search engines themselves. You can use them as much as you like without restrictions, and they can provide invaluable insights into current trends, popular search terms and more. Getting a better understanding of the Search Engine Results Pages (SERPs) is a critical first step in understanding how SEO works. You'll also be able to use the search engines to determine how much exposure your website has at the moment. Another useful feature is Google's Autocomplete, where you can use to get a better idea of which keywords and phrases people are most often searching for. It's also worth keeping track of Google's algorithm updates. SEO largely revolves around the correct use of keywords, and this makes choosing suitable keywords to target critical to your success. You'll need to include your keywords in your written content, page titles and descriptions, provided that they sound natural and are not overused. However, choosing suitable keywords to target is the difficult part. One of the best places to start is the Google AdWords Keyword Planner, a free-to-use tool which provides keyword suggestions and a wealth of other useful information, such as competitiveness, search volume and cost per click in paid advertising campaigns. Find out how meta tags impact your SEO. Google Search Console formerly named Google Webmaster Tools is a completely free website management utility and only requires you to have a Google account. The Google Search Console allows you to detect crawler errors, duplicate web pages, website ranking and traffic information. This is rather handy for website owners as it enables them to verify their website with Google's search engine so they know your website exist and provides useful ongoing search data at your fingertips. The world's second-largest search engine, Bing, also has its own set of Webmaster Tools. Find out more about our SEO Services as we can help set up Google Console for you. Tracking and analysing your website's performance is critical for success, and web analytics tools are a must-have for any webmaster, regardless of the size, type and purpose of your website. The beauty of any form of online marketing is that a huge amount of data is generated which you can use to audit performance and conduct valuable research. Google Analytics is one of the most popular of such tools. It will show you where your visitors are coming from, what search terms they are entering, how long they stay on your website and so forth. Let us help you integrate Google Analytics on your website. Google Trends is a highly versatile tool - you'll find this invaluable in your marketing efforts. When searching the web using Google Trends, you'll be able to choose from a variety of parameters including location, categories and content type. You can use this tool to identify trending topics in your niche, you can also compare up to five groups of search terms simultaneously and conduct keyword research very effectively when using it in combination with a keyword planner. It's particularly useful for a whole range of other reasons as well, including geo-targeting, finding trending news topics, and brand monitoring. To help boost your content marketing campaign and the chances of your content appearing in the search engines, you should claim your Google My Business profile so that all of your content is linked together with Google Local. This helps to build up trust and authority, something which the search engines take very seriously when it comes to ranking content. Measure your website's performance in SEO, usage of web best practices and Accessibility. Analyse and improve your website with Google's Web Dev. See if your website is mobile friendly with Google's Mobile-Friendly Test. Other cool mobile responsive websites are Responsinator and Responsive Design. It is known that accessible websites have better search results, enhances website quality, increases audience reach, which provides equal opportunity, and in addition has to conform to web legality requirements under the Disability Discrimination Act. WAVE is a great accessibility evaluation tool and you can also validate accessibility colour contrast with Snook and WebAim. There are many more colour contrast tools out there so have a peruse. Find out more about the social, technical, financial and legal benefits of web accessibility. There are two fantastic website analysis tools we like to use, one is Nibbler and the other is PowerMapper. It's always good to have your website well structured for your visitors throughout their user journey and ensuring the information architecture is comprehensible along the way. 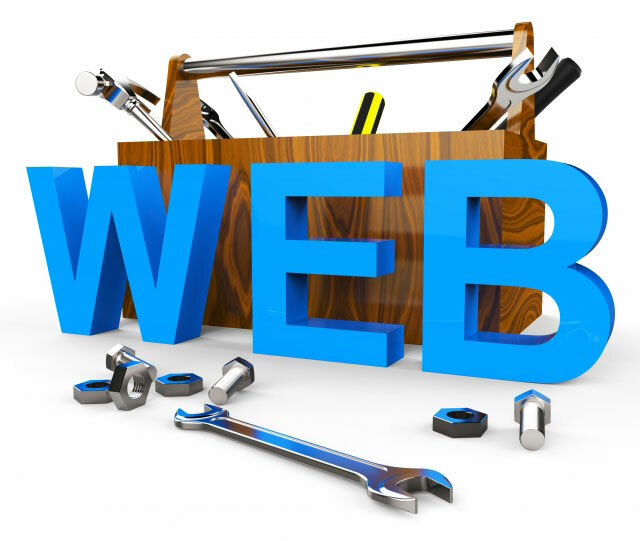 World Wide Web Consortium (W3C) lets you validate your website code such as HTML and CSS as well as broken links. Broken links are a hindrance to your website performance, therefore warranting regular audits gives your visitors the best possible experience without any 404 error pages occurring. The web is now 25 years old - How can we improve it? BrowserStack lets you test your websites on different browsers, operating system and mobile devices but you will have to sign up to a free trial to view the results. The XML sitemap lists all the URLs and allows search engines to crawl your website more intelligently, it also includes additional information such as your website's latest updates and frequency of changes. Generate your XML sitemap. You can also generate a Favicon image - this mini logo icon brands your website when a user bookmarks it and also displays the icon on the left of your website's URL address bar or in the actual web browser tabs. Mailchimp is one of the best email marketing tools out there that provides pre-built email templates where you can customise and measure your email campaign performance such as open and click rates. It's free up to 2,000 subscribers and 12,000 emails per month. You can also integrate the Mailchimp email subscription onto your website to start building your email list. Reach out to potential customers with email marketing. GetSiteControl "offers professionally looking website widgets, easy-to-use tools to interact with your website visitors..." You can sign up for free without customising your widgets. We are using the follow social icons on the left of our website, we are also using the subscribe widget box for new visitors and sometimes have promo boxes running too. We use Zopim leave-a-message pop up functionality on our website to make the experience more personal. You can have real-time live chats if you want to go through the payment subscriptions services. The above is enough to get you cracking on your website. We will be adding some more on here soon so watch this space... we love helping you AdControl!